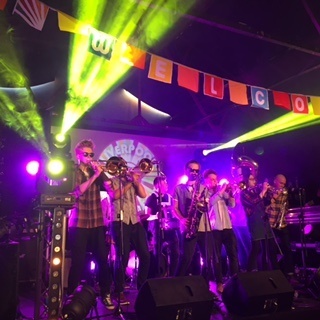 Already an established part of grassroots multi-arts festival Threshold, we organised Mad Pride for the second time on behalf of Liverpool Mental Health Consortium on 2nd April. Running to a tight schedule, our daytime programme featured the Mad Pride Soap Box poetry slam, pop-up promenade performances and lots of live music. At dusk, we gathered the Mad Pride crowd outside venue Constellations for the Mad Pride parade, led by fire performers and drummers. The last ace up our sleeve was the finale: a breathtaking show choreographed for Mad Pride by Bring the Fire Project and Katumba! Click here for a review and a photo gallery grace of not-for-profit webzine Getintothis.